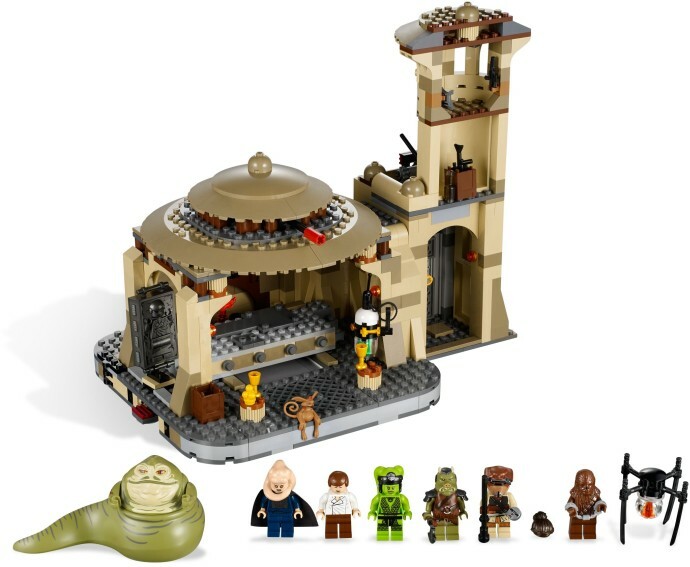 The beautiful Lego Jabba’s Palace set is on sale at Amazon.com right now for $109.75 + Free shipping for locations in the US. As the set is very new it is not widely available in the US (except for inflated prices) so this offer is a wonderful opportunity for families to get a hold of one of the best sets (if not the best!) sets of 2012. 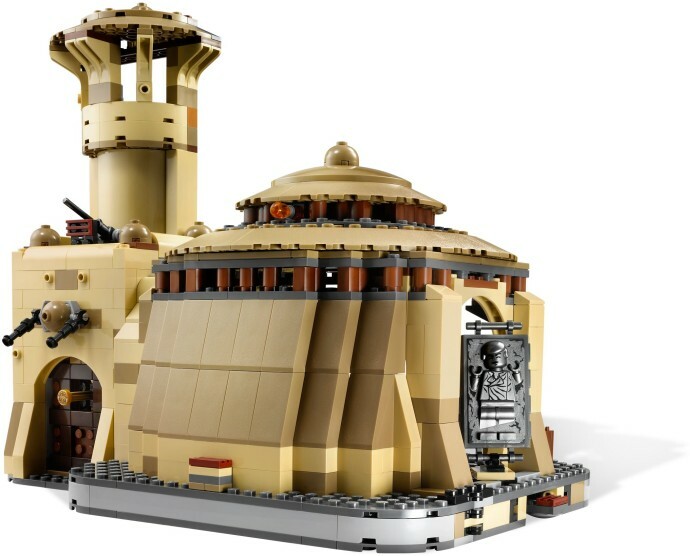 With nine minfigures including many exclusive treasures, a beautifully designed palace (especially if you compare it to the previous Lego Jabba’s Palace set) it is great value for money. Also, as playests are rather rare in the Star Wars Lego Universe (compared to vehicles), this is a set to treasure. Check out the Amazon deal here. Rescue Han Solo from Jabba the Hutt’s desert palace! At Jabba’s Palace™ on Tatooine, Princess Leia is disguised as Boushh as she and Chewbacca try to rescue the carbonite-frozen Han Solo. Can she get past the roof-mounted missiles, defense guns and surveillance equipment to reach them? Or will Jabba and his motley band of followers capture the princess and entrap her beneath Jabba’s sliding throne? 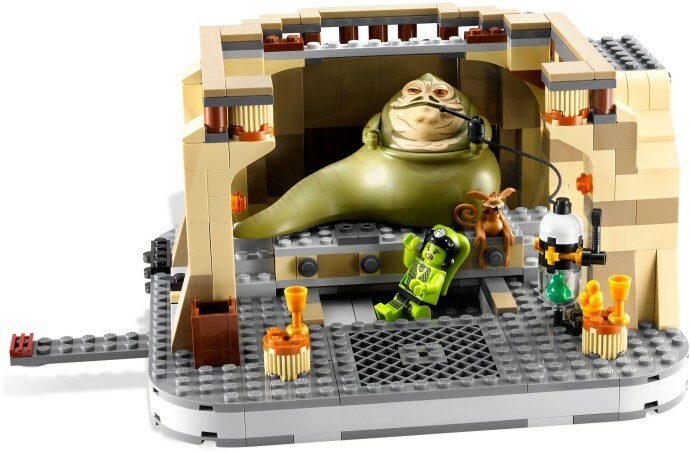 • Jabba the Hutt features poseable head, body and arms! • Avoid the trap door! 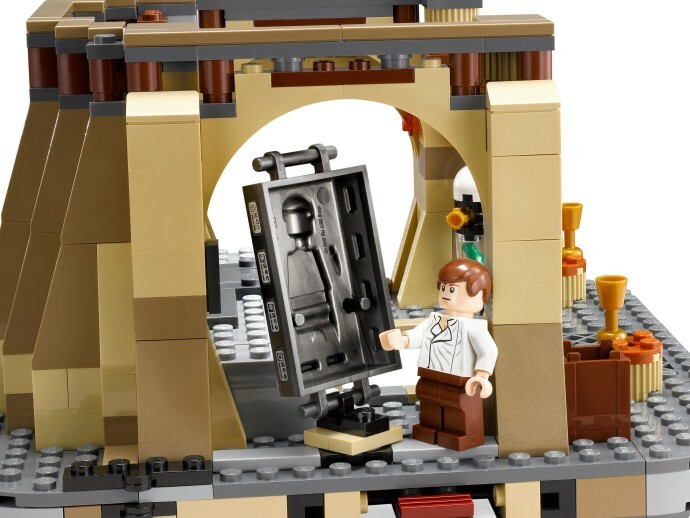 • Release Han from his carbonite prison!